The results of awards and winners of 2011 Metro Manila Film Festival will be held tonight to announced the Official List of Winners of this Metro Manila Film Festival 2011. The 37th Metro Manila Film Festival MMFF 2011 Awards Night, December 28, 2011. The Gabi ng Parangal (Awards Night) will be held at Resorts World Performing Arts Theater and will be hosted by Ai-Ai de las Alas and Cesar Montano. 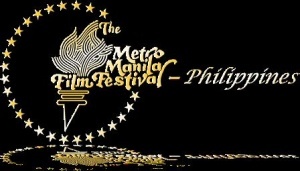 The video replay of awards night Metro Manila Film Festival 2011 will be watched on Jan. 1, 2012 at 10:45 p.m. on ABS-CBN Kapamilya. The official awardees and winners of 37th Metro Manila Film Festival 2011 Awards Night and Ceremony will be posted right here. Best Float - "Ang Panday 2"
Best Production Design - "Manila Kingpin: The Asiong Salonga Story"
Best Make-Up - "Enteng ng Ina Mo"
Gender Sensitivity Award - "My Househusband"
Gatpuno Antonio Villegas Cultural Award - "Manila Kingpin: The Asiong Salonga Story"
Best Festival Picture: "Manila Kingpin: The Asiong Salonga Story"
2nd Best Festival Picture: "Enteng ng Ina Mo"
3rd Best Festival Picture: "Shake, Rattle and Roll 13"
Best New Wave Full-length Film - "Pintakasi"
New Wave Section Special Jury Prize - "Biyahe Ni Barbie"
Gender Sensitivity Award (Student Category) - "Speechless"
Gender Sensitivity Award (Full-length Category) - "HIV"
According to the entertainment site, these are the money prizes for the MMFF 2011 winners. Second Best Picture — P550,000. Third Best Picture — P300,000. Gatpuno Villegas Award — P550,000. Best Actor, Actress, Director and Screenplay — P100,000. Best Supporting Actor, Supporting Actress, Child Performer and technical winners — P50,000. Best Indie Film — P100,000. Best Student Short Film — P25,000, which will go to the school being represented by the filmmaker. For the mean time, below are the official entry of Metro Manila Film Festival 2011 (MMFF) waiting for the Awards and Winners Night - December 28, 2011. Congratulations to the 37th Metro Manila Film Festival 2011 (MMFF 2011) Winners and Awardees!